Rejoice bookworms, for anyone who has ever told you having your head in a book means you’re being antisocial will have to eat their words. A new study suggests those who regularly read, especially fiction, are actually nicer and more empathetic people. The study, carried out by Kingston University London, and presented at the British Psychological Society conference in Brighton, UK, last week, also found that those who just watched television came across as less kind and understanding of other people. For the study, the researchers questioned 123 people on their preferences for books, TV shows, and plays. They were also quizzed about the type of entertainment they preferred, from comedy or romance to drama or factual. Then they were tested on their interpersonal skills, with the researchers asking them about their behavior towards others, whether they considered other people’s feelings or understood and respected others’ points of view, and whether they actively helped other people. Drawing on these responses, the researchers found some interesting results. They discovered that those who read more showed greater positive social behavior and a better ability to empathize with others, while those who preferred watching TV didn’t show the same ability to empathize and were more likely to show antisocial behavior. “The findings support previous evidence that exposure to fiction relates to a range of empathetic abilities," said study leader Rose Turner. However, “all forms of fiction are not equal. Associations between empathetic skills, media and genre diverge." They found people’s preferred genres were linked to their interpersonal skills and behavior, with those who preferred fiction displaying the most positive social skills. Romance and drama lovers showed the most empathetic behaviors and the ability to see others’ points of view, while comedy fans were apparently able to relate to others the most. "Engaging with fictional prose and comedy, in particular, could be key to enhancing people's empathetic abilities," Turner said. 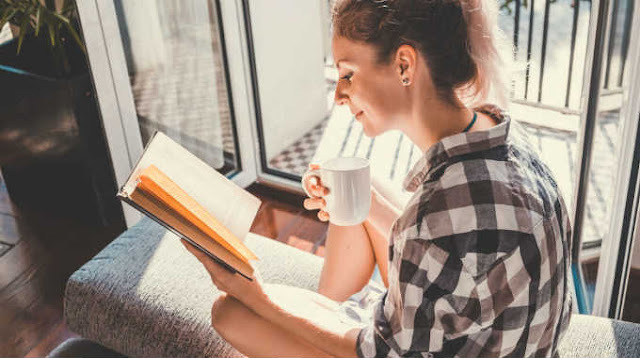 The researchers concluded that those who read fiction regularly are more well-adapted to see things from other people’s points of view, which makes them better at understanding people. However, they do acknowledge that their study didn’t conclude if the effects are causal – does reading make you nicer and more empathetic, or are more empathetic people prone to reading fiction? Further study is needed on this subject, but in the meantime, picking up a book can’t hurt, and might just make the word a nicer place. This post was republished from iflscience.com. You can find the original post here.